The new Audi factory will build a second-generation Q5 SUV starting in 2015. A 2012 Q5 is shown. Volkswagen Group is leaning toward building a factory in Mexico for its premium Audi brand. The parent company favors Mexico for the North American assembly plant over a site on the grounds of its U.S. manufacturing complex in Chattanooga, Tenn., a VW insider told Automobilwoche, a sibling publication of Automotive News Europe. 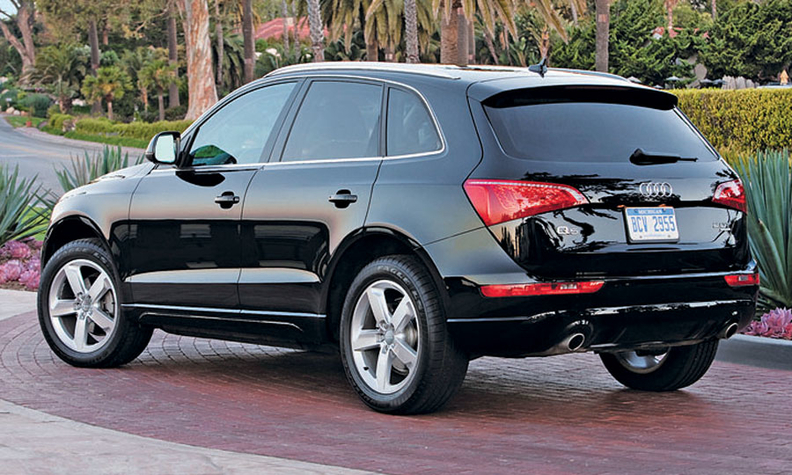 The second-generation Audi Q5 SUV will be built at the new factory, and production is scheduled to start in 2015. Audi CEO Rupert Stadler has pushed for Mexico, according to Automobilwoche. Some executives at parent Volkswagen Group prefer a U.S. site, the German publication said. VW's supervisory board is expected to make the final decision when it meets Wednesday. An Audi spokesman in the United States said: "It's on the table for the board to review, and from that point, it can take a lot of different directions." The decision must gain approval from the Audi and VW Group supervisory boards, he said. He declined to comment further. VW officials have said repeatedly that a decision on North American production would be made this summer and publicly have weighed the pros and cons of Mexico and Chattanooga. The company's U.S. factory in Chattanooga, where it builds the VW Passat, is less than a year old, is near a supply base and has plenty of room for expansion. Also, the "Made in U.S.A." label is important to the company, Michael Macht, VW Group's head of manufacturing, told Automotive News Europe in February. But Mexico has advantages, too. By building in Mexico, VW can avoid the 10 percent duty levied on cars that are built in the United States and shipped to Europe, Macht said. VW has a plant in Puebla, Mexico, where it builds the Beetle and Jetta. Next year it will open an engine plant in Silao, Mexico, which is scheduled to produce 300,000 engines a year for North America. Audi also sees Brazil as a promising market and wants to export to other countries in South America, as well. An Audi factory in North America is crucial to VW Group's aggressive expansion plans in the United States and worldwide. By 2018 the company wants to sell 1 million vehicles in the United States annually, including 200,000 Audis. Last year, Audi had a record 117,561 U.S. sales, up 16 percent from 2010. It hopes to make similar gains this year, but executives admit growth is being constrained by short supplies of key models, including the Q5 and Q7 SUVs. Globally, VW seeks to surpass General Motors as the world's leading automaker by selling 10 million vehicles annually by 2018. In 2011, the group sold 8.3 million vehicles globally.